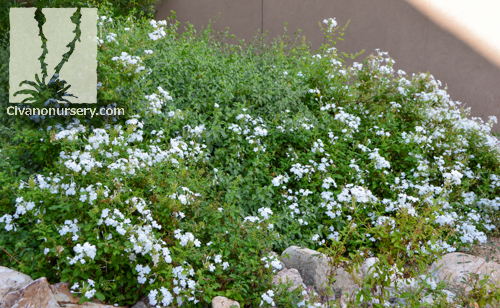 Cape Plumbago is a South African native that is well-loved in the Sonoran Desert for its tropical appeal and non-stop warm-season flowers. 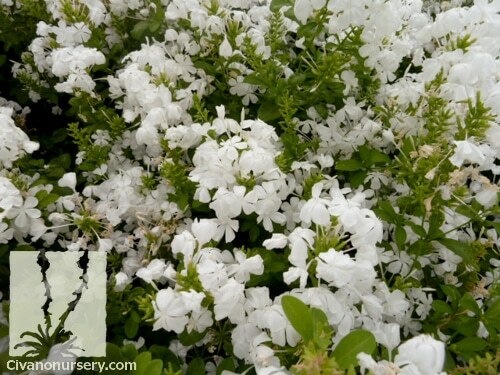 These snow-white, phlox-like flowers are borne in clusters on the ends of multiple sprawling branches over a long blooming season, attracting butterflies from spring through fall. 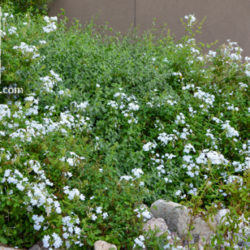 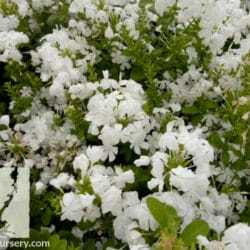 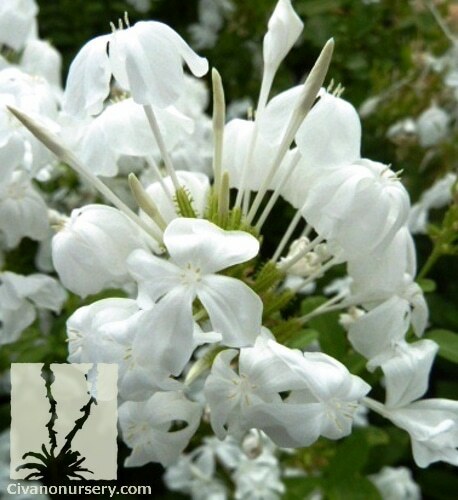 Plumbago is deer resistant, drought and heat tolerant, vigorous, and fast-growing; easily rambling over sloped banks, climbing up fences and trellises, and gracefully cascading out of raised beds and planters. 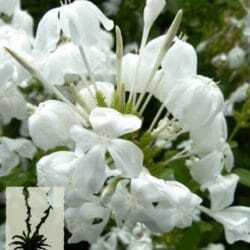 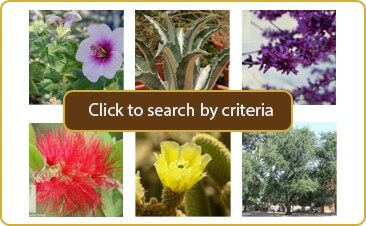 Taming this shrub requires some work, and keeping it formally trimmed will remove flowers, so we recommend giving it plenty of space for the most rewarding performance.